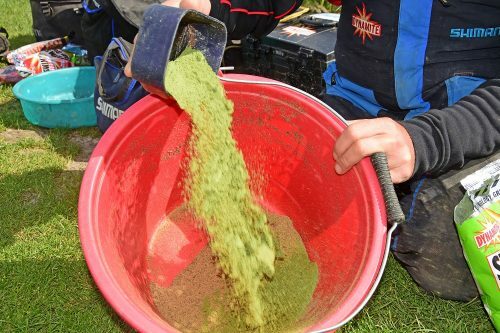 How to mix groundbait perfectly for Method feeder fishing to stop the bait falling off or sticking to the mould. 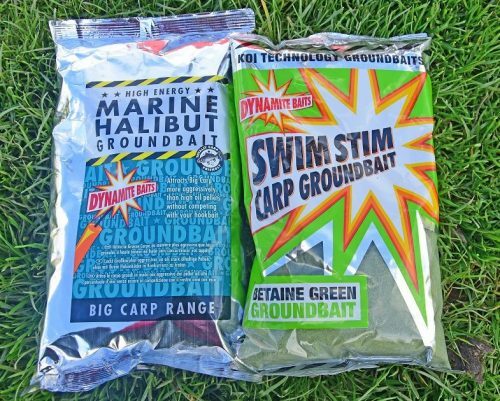 All anglers at some point have used the Method. And, as a tactic, it’s devastating fish-catching capabilities are well-documented. It has even been adopted by the specimen world in recent years. 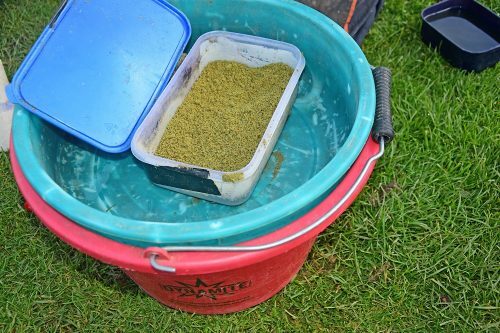 But, even though you can buy bespoke Method mixes and purpose-made loading moulds, match-angling legend Nick Speed reckons most anglers are still getting the basics wrong. Before you even cast, you need to address your set-up. For Nick, this starts with the rod. 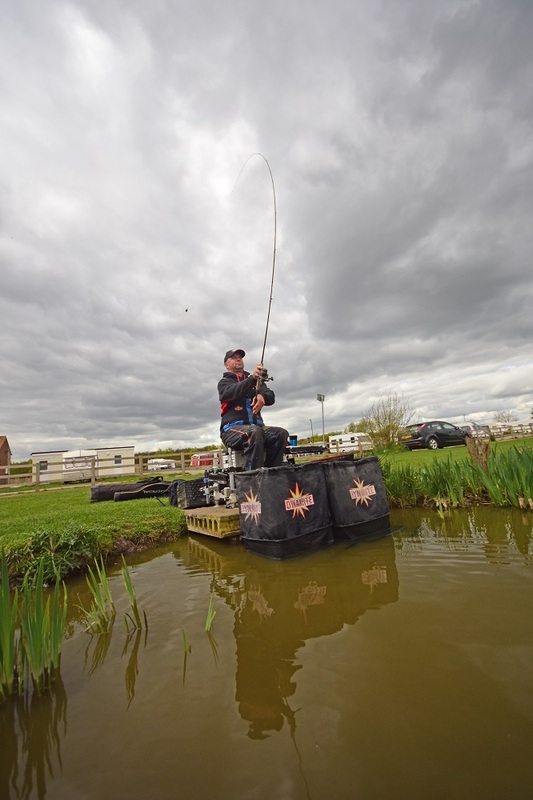 “You ideally need a feeder rod with a soft action as this will help cushion the fight of the fish,” he explained. 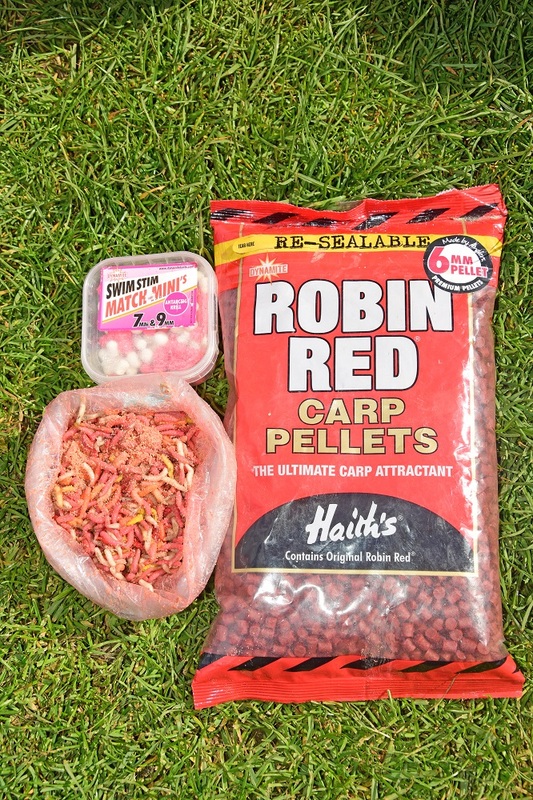 As you’re looking to make well in excess of 200 casts in the day, a robust, durable mainline is also a must. Around 0.22mm (6lb to 8lb) is perfect. The next thing in the chain is the Method feeder. Faced with a cast of only around 20 yards to the margins of an island, it came as quite a surprise to learn that Nick uses a small, but heavy 30g feeder. 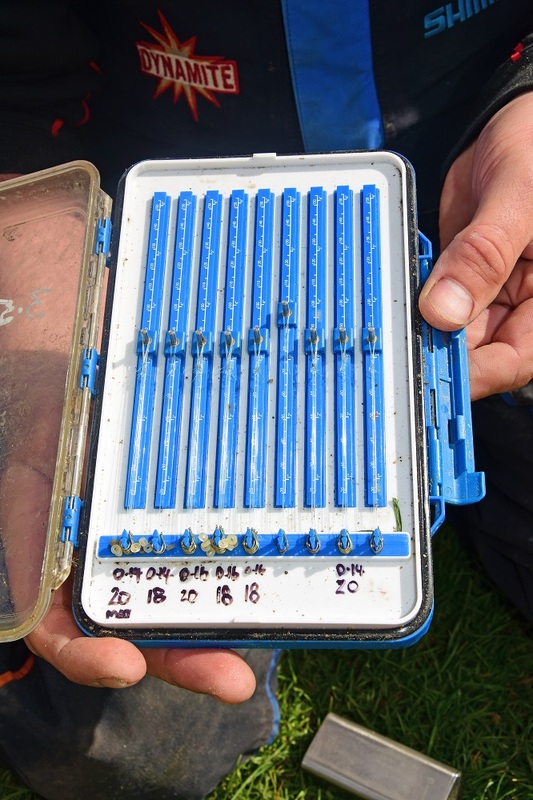 “The reason I use a small feeder is that just like the pole, I am looking to adopt a little and often feeding approach,” he told me. 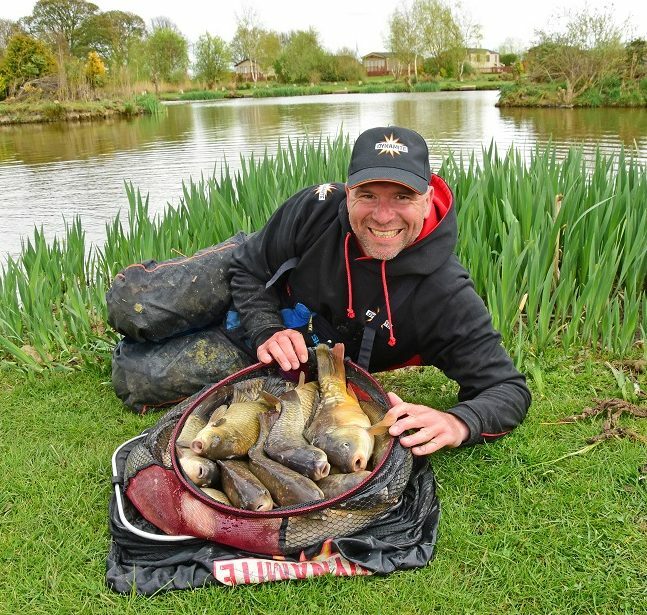 “Anglers think to catch a lot of fish requires the use of a big feeder. 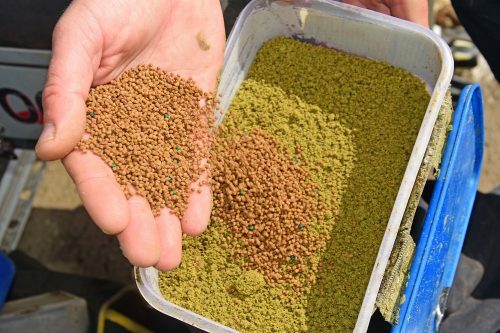 Actually, it is better to use a smaller feeder and cast regularly.” This way there is less loosefeed to possibly pre-occupy the fish, plus, by casting with more regularity Nick reckons you actively encourage more fish into your feed area, which leads to more and quicker bites. “Regards the heavy weight, for such a short cast, the motive behind this is threefold,” Nick explained. “The first is that of contours. I’m casting to the slope of an island, so I want a heavier feeder to grip to the sides of the slope. If the feeder moves, you are essentially fishing with a single hookbait. “Secondly, a heavy feeder casts better and finally, in line with fishery rules, I’m fishing the feeder free running. So, the extra weight helps massively with the bolt effect. 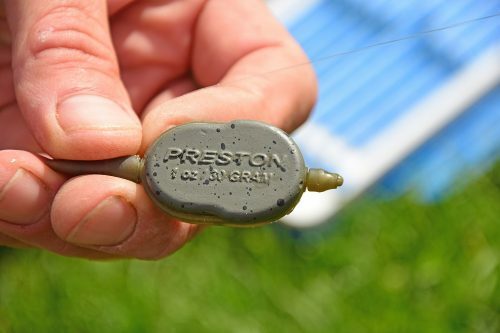 “Many anglers think that it is the tension on the quiver tip that sets the hook, but it is the combination of a short hooklink and the heavy feeder that pulls the hook home.” Regards feeder weight, Nick thinks nothing of going up to 45g if there is a strong side wind, which sounds ludicrous over a 20-yard cast. 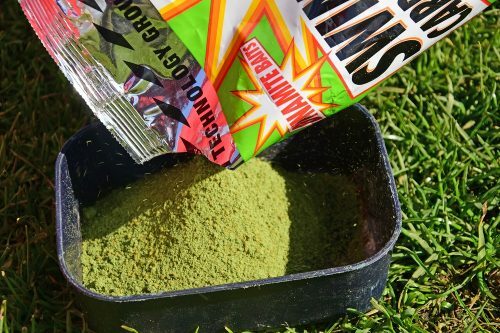 “Only if the silt were very soft would I use a 15g or 20g feeder, so it lies on top of the silt,” he added. 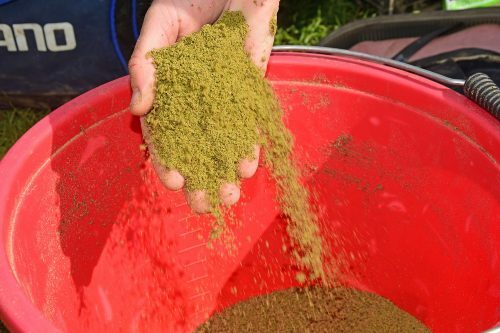 To mix Nick’s loosefeed, he starts by emptying a pint of Green SwimStim and a pint of Marine Halibut Pellet groundbait into a bucket, before a handful of fishery micro pellets are added. Using a 200ml pole cup, he adds two full cups of lake water (400ml in total) before giving the concoction a good mix. 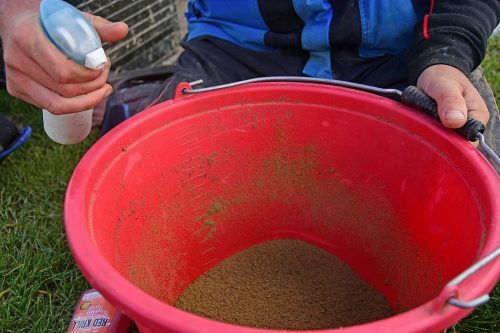 A lid is then placed on the top to avoid the groundbait drying out too quickly. It’s then left to sit for a few minutes to fully soak. “I will also use an atomiser with a little liquid flavour added to fine tune it as it dries out slightly over the session,” he continued. 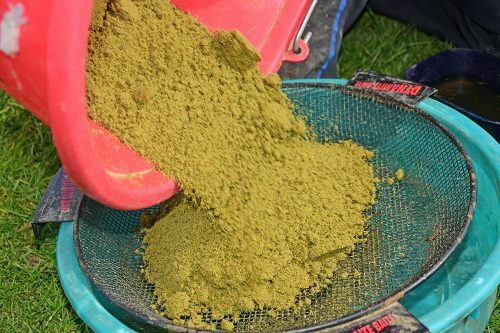 The reason Nick uses the two groundbaits is that the Halibut adds weight to the mix and prevents it breaking down too quickly in the water, while the Green SwimStim is added to colour the finished product, so it more closely matches the tone of the lake water. 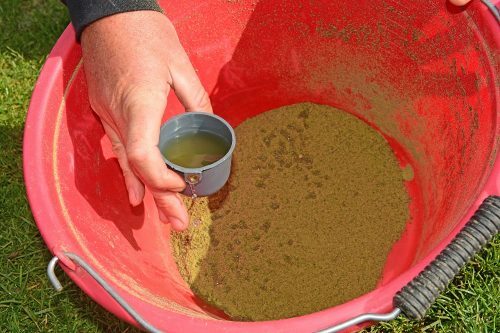 Step 1: Measure out the groundbait correctly using 1 pint tubs. The final part of Nick’s Method masterclass was how to fish it correctly. 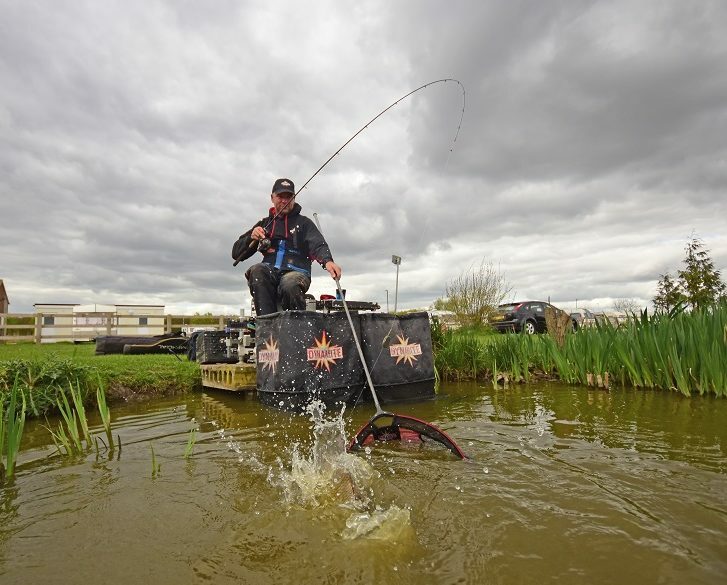 Within the first 30-minutes to an hour, Nick reckons you should be casting every two-minutes to quickly build the swim. How often should you recast the Method? Nick does it every 2 minutes in the first hour..
Get the Method right and it can be devastating on all venues..